Robin Kazmier is a freelance science reporter based in Boston. 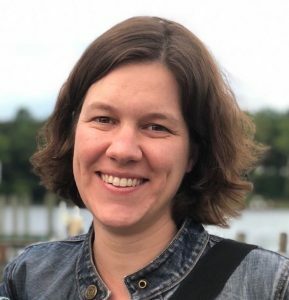 Her work has appeared in NOVA Next, MIT Technology Review, Audubon, Yale Climate Connections and The Tico Times. She is also the author of National Parks of Costa Rica. Originally from the Georgia, Robin holds an MS in science writing from the Massachusetts Institute of Technology and a BA in anthropology and geography from Northwestern University. Before moving to Boston, Robin spent almost nine years in Costa Rica. There, she worked on a cocoa farm and led medical Spanish immersion programs before transitioning to publishing. As an editor and project manager at Zona Tropical Press, she fell in love with science writing (and birds) while editing field guides and other natural history books. Robin later joined The Tico Times, Central America’s leading English news outlet. She launched a publishing division at the Times and filled in as backup news editor and, eventually, interim general manager of the newspaper. Robin reports on all areas of science, but has an affinity for stories related to the environment, infectious diseases, and Latin America. She is also available for nonfiction editing work.